Pet peeve: I'm at a party and I just poured myself a yummy beverage. I get chatting. I want to take a sip of my yummy beverage. I look. It's in the midst of a whole bunch of other random yummy beverages. All is lost! I'm not about to take a chance during cold and flu season. 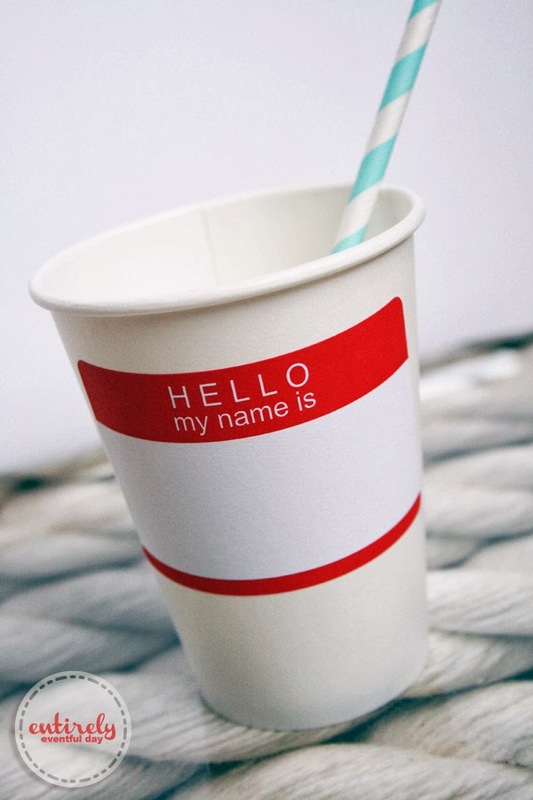 Avoid this terrible party faux pas by making it obvious and fun for your guests to label their cups. Now you can enjoy the party and keep track of your cup. Plus, it's cute! Bonus!